Northumberland-Quinte West M.P.P. 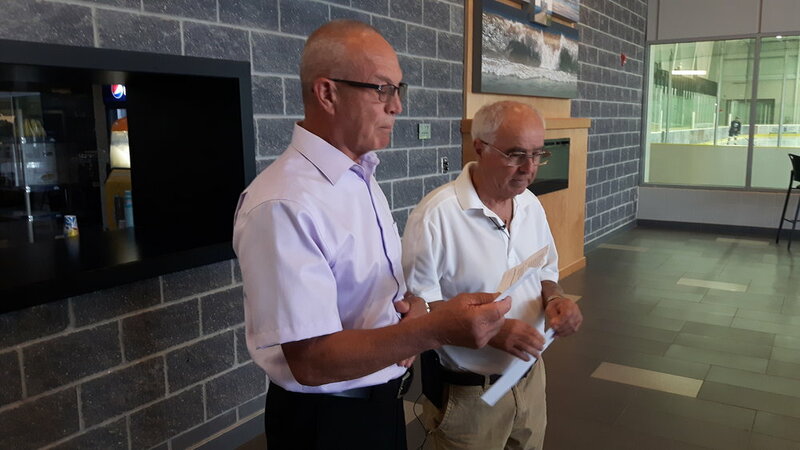 Lou Rinaldi and Cobourg Councillor Brian Darling were on hand at the CCC Thursday afternoon to announce that Cobourg Seniors' Activity Centre is the recipient of provincial grants totalling $56,350. The funding will support programs to promote senior wellness and activities such as fitness classes, computer classes, and arts and crafts. The funding will also allow for the hiring of a part time program assistant focusing on health and fitness. The most recent census showed that Cobourg is the municipality with the fourth oldest population in Canada. People over 65 in Ontario now make up a larger part of the population than those 14 and under. Currently, 1,025 seniors take part in seniors' activities at the CCC.